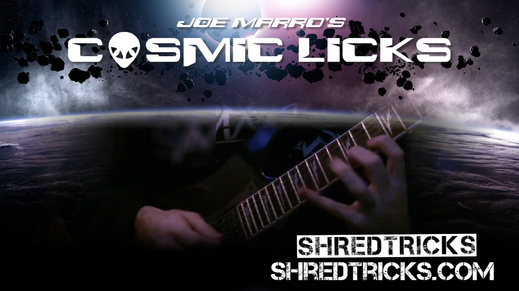 Cosmic Licks 2 - Wide Interval Tapping - . :Shred Tricks - Shred Guitar Lessons by Eric Maldonado:. Here is a wide tapping lick in F Lydian that you may hear players like Per Nilsson or Dave Martone use. This lick is played without any sort of muting device and I use my bridge pickup. I also use my middle and ring finger to execute it. Good luck! !